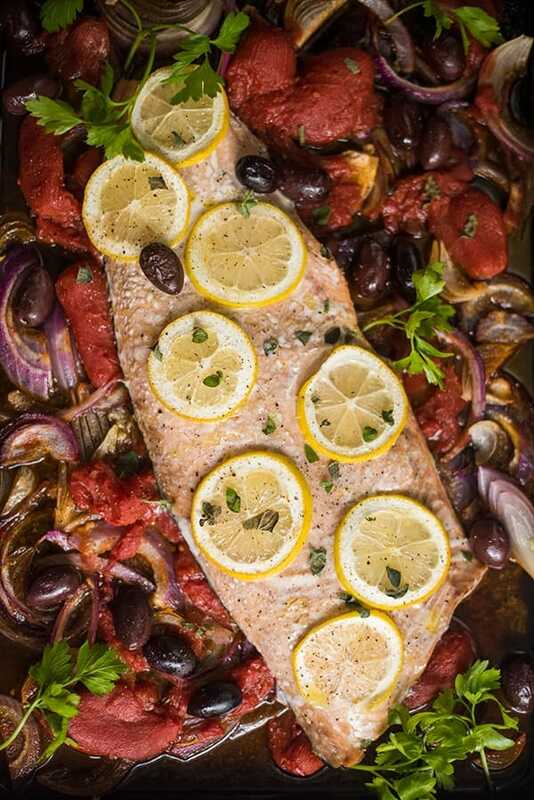 Searing salmon at a high temperature locks in the natural juices and heart-healthy oils while creating an irresistible golden crust. Salmon is not only one of the most nutrient-dense foods available but it also happens to be one of the easiest to prepare. Like anything, the secret to cooking salmon is to start with a high-quality, fresh product. The better the fish, the less time and fuss it requires. And since I can barely keep my eyes open past 1PM these days, I am all about fuss free. Speaking of exhaustion, people often ask me if salmon is safe to eat during pregnancy. Not only is it completely safe to eat but it is highly encouraged! DHA’s: The DHA’s found in salmon are a powerful type of fat that help promote brain development during pregnancy. These fats are even more important in the third-trimester when brain growth is at an all time high. Omega-3’s: Salmon is an excellent source of omega-3 fatty acids which may reduce the risk of heart disease, lower your chance of getting cancer and fight inflammation. 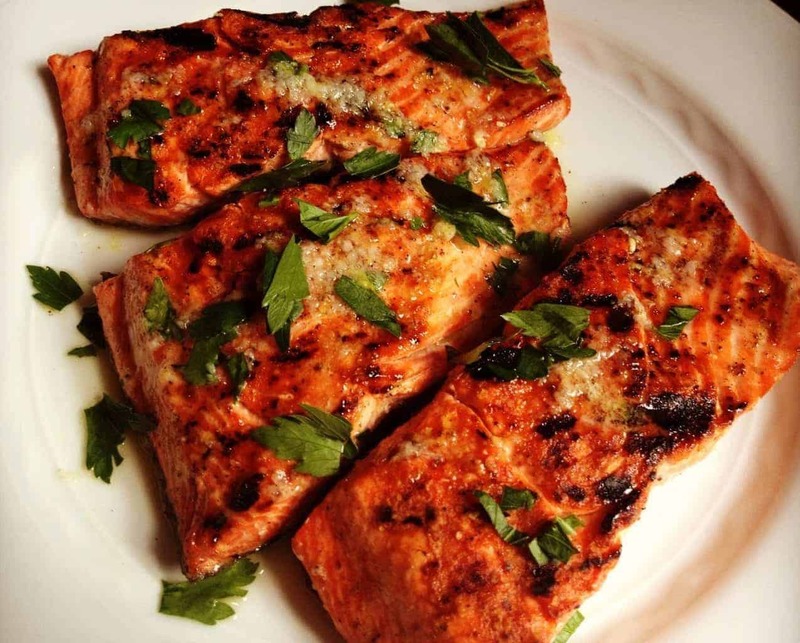 Vitamin E: Salmon is a good source of Vitamin E, a powerful antioxidant. These antioxidants help fight cell damage which helps prevent cancer and heart disease. Oh and just when you thought this dish couldn’t get any healthier, I throw in my easy and addictive Sautéed Swiss Chard with Garlic and Lemon. If you don’t have Swiss chard, swap out kale, spinach or your favorite leafy green. My husband and 2 year old can’t get enough of this fast side dish. I hope you love it as much as we do. Pre-heat a large skillet over high heat then drizzle with olive oil. Sprinkle salmon filets evenly with salt and pepper then place in the pan, skin side down. Cook 4 minutes on the first side or until a nice golden brown crust forms. Flip over and cook additional 3-4 minutes. Serve over Sautéed Swiss Chard with Lemon and Garlic. I love the looks of the heart healthy meal. I’m always looking for a way to add chard to the menu as it comes often in my csa. I hope you don’t mind, but I’ve linked to your recipe on my weekend healthy recipes roundup over at the blog. Thank you so much Kristi – I appreciate it! Have a great weekend! Searing salmon makes it SO MUCH better than other cooking methods, right?! And I love the idea of these garlicky greens! Can’t wait to give those a try. Hope you’re feeling well, my friend! Yes!! I love seared salmon!!! Thank you friend!! I could eat salmon everyday. I love this with the Swiss chard, just gorgeous! You must give it a try!! This is one of my husband’s favorite meals of all time and trust me, he is a burgers and pizza guy! Yay, for tons of garlic! The swiss chard looks mighty good! I hope you like it!! It’s one of our favorites! 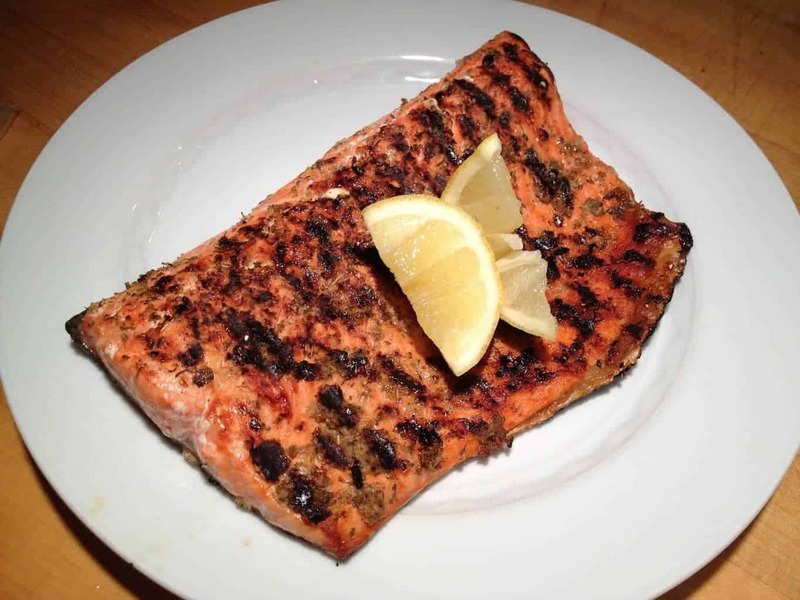 I love a good salmon recipe–so healthy and good for you. My son used to eat it but now that he is a whopping 2 years old the picky stage has set in–it makes me sad because I know how good it is for their little developing brains! :) I can’t wait to try this recipe. It’s funny, Asher is getting a bit more picky by the day as well! Certainly things he used loved he won’t eat and vice versa! 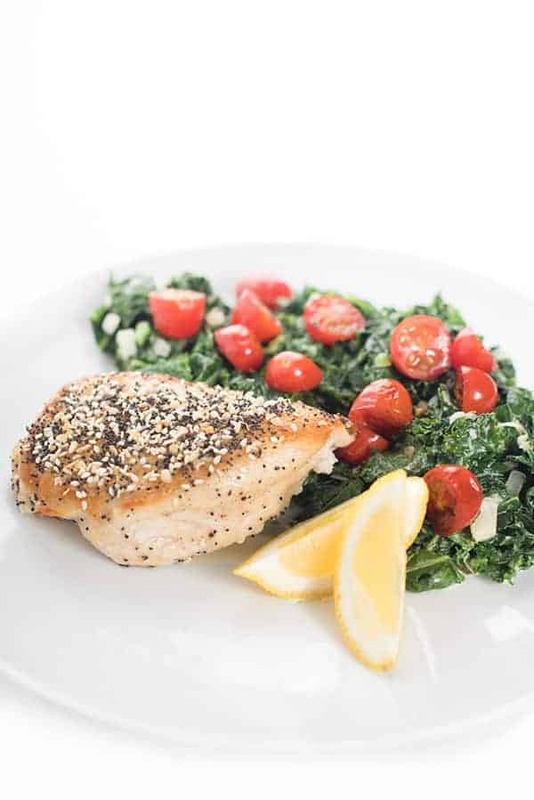 Love how simple and delicious this looks Liz – a great healthy meal! Thank you so much Jeanette!! Have a great weekend! I just found your blog and I love it! This salmon looks so tasty. I’m going to have to give that swiss chard a try too. Thank you so much Natalie!! Appreciate it!! Liz, this looks so delicious! I love salmon. Can’t wait to try this! I’m such a more garlic the better person too! !